5.) Zipline–Visit Wahoo Ziplines in Sevierville, TN. The guides are European and are very instructional (safety first). It’s exhiliarating & exciting! Perfect for a romantic date or a group event for teenagers and younger adults. 6.) 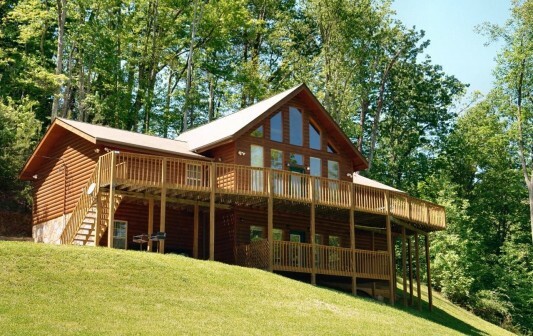 Stay at a log cabin rental! Aunt Bug’s Cabin Rentals offer fantastic log homes with indoor swimming pools, outdoor hot tubs, pool tables, saunas, creekside or mountain views, and wood/gas fireplaces. You’ll love their luxury rentals at a discount price. 7.) Go to the Arts & Crafts Community just East of Gatlinburg on Glades Road. You’ll find some of the best artisans of the Appalachian including fantastic pottery, painters, wood whittlers, & candle-making. This place is terrific for a fabulous souvenir, home decor, and birthday/wedding presents. I’ve gotten several wedding gifts from this community because their work is so unique and remarkable! 8.) 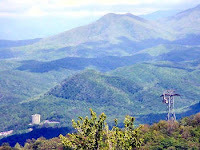 Visit Dollywood (Pigeon Forge, TN). Dollywood offers something for every age group & has a variety of attractions! This includes great entertainment shows, rollercoasters, carnival games, Southern food, water-rides, kiddie rides, museums, & animal exhibits! It’s the #1 attraction in Tennessee for a reason! 9.) Check out the New Titanic Museum. The largest of its kind in the World. This new World Class museum in the Great Smoky Mountains provides a highly interactive, hands-on experience for the entire family! 10.) Theater Shows with some of the best singers, dancers, & performers in the World! Country Tonite, Dixie Stampede, & The Miracle Theater are just a few of the area’s most popular Shows! I hope you can utilitize this list to schedule some exciting activities for your group or family this Season! We can’t wait to see you in the Smokies! Make reservations ahead or drop by when you get here!